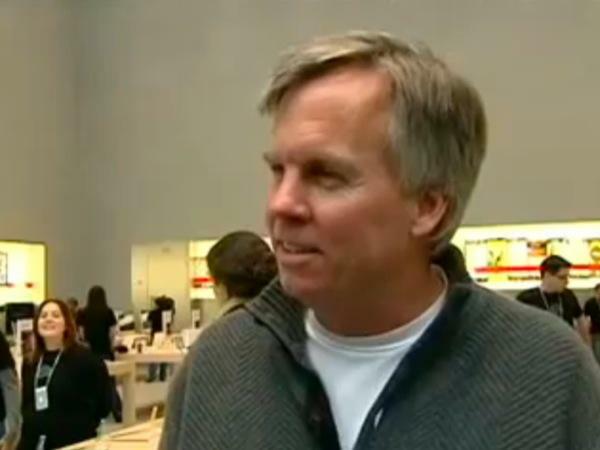 Former Apple retail chief Ron Johnson says that the success he created with brick-and-mortar Apple Stores is based on a complete reworking of the traditional retail culture, built on customer relations and hands-on management. As part of an interview featured in the December 2011 issue of the Harvard Business Review, Johnson made a special guest posting on the magazine's blog outlining the operating model he used to make the Apple Store one of the most profitable retail spaces in the world. When asked how he made Apple's brick-and-mortar outlets so successful in a time when internet sales continue to grow, Johnson said that the two models are interrelated and in fact work together if structured correctly. "In reality, whats growing is physical retailers extension into a multi­channel world," Johnson said. "Its not as though theres a physical retail world and an online retail world, and as one grows, the other declines. Theyre increasingly integrated." The former senior vice president of retail at Apple and current CEO of JC Penney said that a store needs to enrich the lives of its customers, explaining that if it just fulfills specific product needs it doesn't create new types of product value. Johnson notes that there is a difference between transacting and actually adding value beyond merchandise, which is how he modeled the Apple Store where products played a secondary role to an overall retail experience. "You have to create a store that's more than a store to people," Johnson said. "People come to the Apple Store for the experience  and they're willing to pay a premium for that." A number of components go into making a store with a culture that Johnson describes as a complete re-imagining of the traditional model. 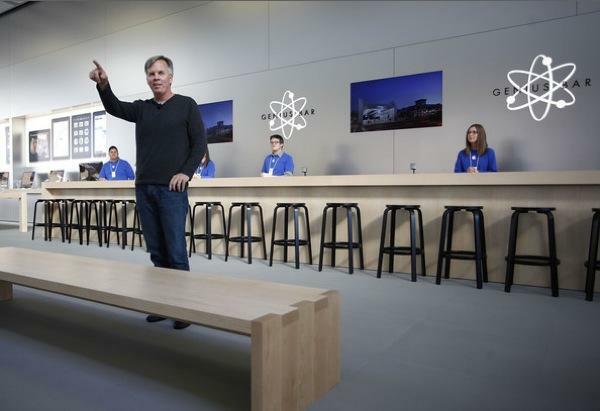 For Apple, this meant hands-on "try before you buy" device sampling, quick turnaround on repairs and personal training for purchased products, which Johnson introduced with the Genius Bar. Johnson notes that the most important component to the Apple Store experience is the staff, and that a network of well trained employees not working on commission is integral in creating an environment where customers' needs come first. He claims to have reinvented the sales associates' job, saying that a tech store's staff shouldn't prioritize the sale. "[The sales associates] have one job: to help you find the product thats right for you, even if its not an Apple product," Johnson writes. "Compare that with other retailers where the emphasis is on cross-selling and upselling and, basically, encouraging customers to buy more, even if they don't want or need it. That doesn't enrich their lives, and it doesn't deepen the retailer's relationship with them. It just makes their wallets lighter." In order for the retail strategy to work, Johnson and former Apple co-founder Steve Jobs agreed that complete hands-on focus was needed, with the retail chief taking sole responsibility for retail operations. To that end Johnson personally interviewed every manager who ever worked in an Apple store and was involved in the design of every retail space Apple built before he left the company in November. "Every employee at an Apple Store knows someone well who knows me well," Johnson said. To become an employee, a candidate has to pass through a rigorous process of six to eight interviews, including a sit-down with the person running the entire local market. The process is a type of initiation, and those who make it through are said to feel honored to be "on the team." "I dont know if Im a great selector, but Im a great connector," Johnson said. "The people I hire trust me because of this personal connection. You also need a clear vision of what kind of people you want." Every decade one or two retailers profoundly change the industry landscape; in the 1980s it was Walmart and in the 90s the Gap reinvented the specialty store. Since 2000, Johnson argues that Amazon has lead the charge in e-commerce while Apple has influenced the in-store customer experience. In summarizing his insights into what makes a retail store successful, Johnson likens the process to the problems Jobs faced when conceptualizing the iPhone. "[Jobs] didn't ask, 'How do we build a phone that can achieve a two percent market share?' He asked, 'How do we reinvent the telephone?'" Johnson writes. "In the same way, retailers shouldn't be asking, 'How do we create a store that's going to do $15 million a year?' They should be asking, 'How do we reinvent the store to enrich our customers' lives?'"